With a stay at Appleby Manor Hotel & Garden Spa in Appleby-in-Westmorland, you'll be in the mountains, within a 15-minute drive of Yorkshire Dales National Park and Appleby Castle. This 4-star hotel is 11.7 mi (18.8 km) from Lake District and 18.4 mi (29.7 km) from Ullswater. At Royal Oak Appleby, enjoy a satisfying meal at the restaurant. Quench your thirst with your favorite drink at the bar/lounge. A complimentary full breakfast is served daily from 8 AM to 9:30 AM. 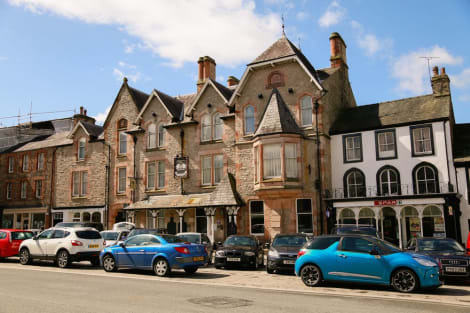 lastminute.com has a fantastic range of hotels in Appleby-in-Westmorland, with everything from cheap hotels to luxurious five star accommodation available. We like to live up to our last minute name so remember you can book any one of our excellent Appleby-in-Westmorland hotels up until midnight and stay the same night.